She has a soft spot for lovingly refurbishing Heritage properties having spent four years as part of a three person team sharing their love of Art Noveau and Art Deco architectural features in her local area. 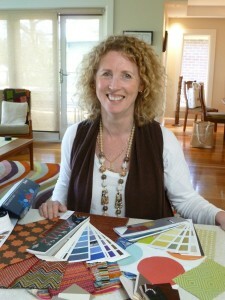 Margot also adores creating unique textile artwork that truly brings rooms to life. She is available to commission to produce stunning artworks for your home or workplace. You can see some of her work in the Which Hue gallery. Should you wish to work with Margot, please call on 0402 855 299 or drop her a note here.